Today I’m having a tea that’s completely new to me! It’s getting to be a pretty rare event so I’m kind of tickled. 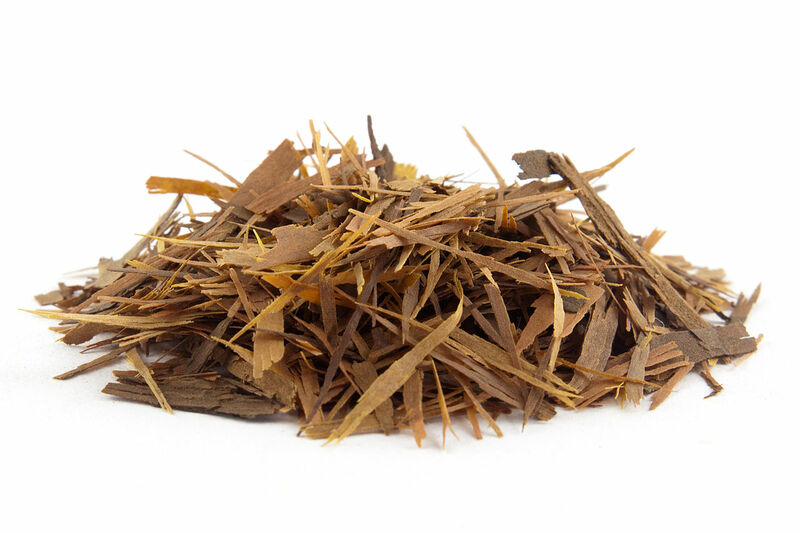 Lapacho, also known as Taheebo, is an Herbal made from the bark (and believe me, you can tell it’s bark xD) of the Pau d’arco tree. This tea hails from Central and South America (the tree commonly grows in the high Andes) where indigenous peoples are said to use it as folk medicine, much in the same way Ayurveda is used in South Asia. Given that the spent raw tea doesn’t taste like anything but bark, I’m curious as to how the tea was first devised. Lapacho is definitely a tea, but very unlike what most people might imagine when they think of the word. It’s thin, which is consistent with most any Herbal but also very powdery and somewhat bitter (though not like a Black is bitter) and a little sweet. The scent is a very unusual floral, somewhat reminiscent of tropical plants or cacti. I can well imagine how Lapacho lends itself to a medicinal tea since i myself have a bad cold that’s been hanging on forever and it’s helped a bit to sooth my throat this morning. Unfortunately, I have no idea which vendor this Lapacho Herbal is descended from. I acquired it quite by accident from TranquiliTea in Plymouth, MI.